Volcanic Activity at Gaua shows signs of imminent increase. Its Volcanic Alert Level has moved from Level 1 to Level 2 . Volcano activity at Gaua is in the level of major unrest state and its Alert Level is now at Level 2. Danger is restricted to visitors approaching the volcanic cone; Risk is around the volcanic cone. Latest observations done from December 2017 to January 2018 confirm that the activity consists of ongoing volcanic steam cloud which may content volcanic gases. These observations and seismic analysis confirms that the volcano activity has increased to the major unrest state. Visitors approaching the volcano may smell volcanic gases. Alert Level for Gaua volcano was at Level 1 since 21st December 2010. Based on its slight increased seismic activity and observation of ongoing volcanic gas emission and steam plumes in December 2017 and January 2018, the Volcanic Alert Level (VAL) was raised to Level 2. The current observations are consistent with the Alert Level 2 activity. Level 2 indicates 'Major Unrest'; Danger is around the crater rim and specific area, considerable possibility of eruption and also chance of flank eruption. Gaua volcano is one of the active volcano in Vanuatu. Construction of the historically active cone of Mount Garet and other small cinder cones in the SW part of the caldera has left a crescent-shaped caldera lake, Lake Letas. The symmetrical, flat-topped Mount Garet cone is topped by three active craters. Advice to all tourism agencies, local authorities, people of Gaua and the general public not to access the Gaua volcanic cone. In this area volcanic gases will always be expected and other volcano risks could occur at any time in such major unrest state. 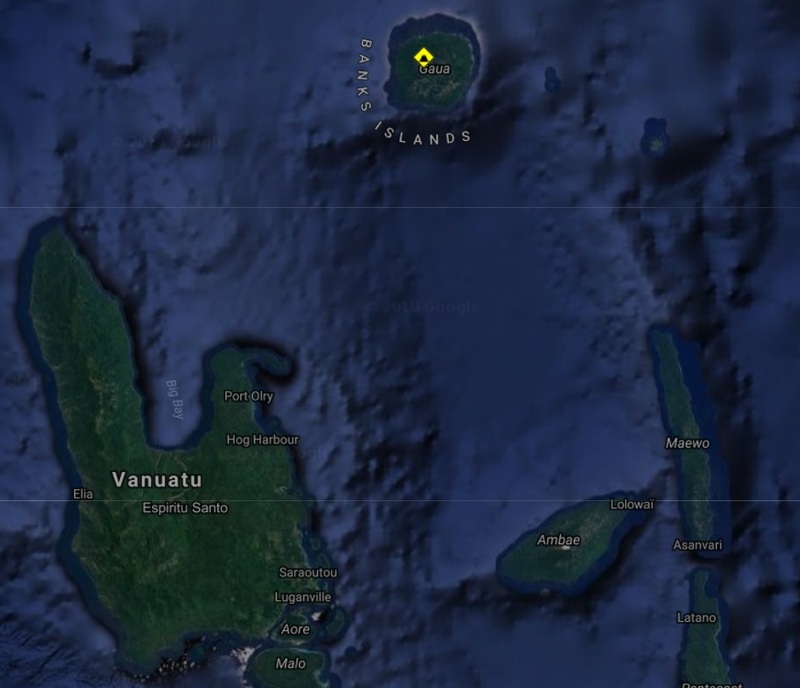 The Vanuatu Meteorology and Geohazards Department will continue to closely monitor this volcano activity.